The tradition of apprenticing dates to ancient times in the Peruvian Amazon. As offered in our Master Plant Dietas, the student the practice of withdrawing into isolation to work with the Master Plants is seen as being in an apprenticeship with the plant teacher. Additionally, apprentices will work with elder curanderos to learn how to administer plant medicines, diagnose, and cure spiritual ailments. In order to learn the ancient ways, we cannot go to a school or a training program, we have to commit our time, show up and “learn through doing” under the supervision of an elder. Elders are those who have been initiated into a tradition, so that they have not only the experience but the right to pass on teachings. At the Rainforest Healing Center we offer several apprenticeships and trainings with highly skilled trainers and initiated elders: our Kambo practitioner training teaches the art and skill of applying the powerful Kambo medicine, our Facilitator Apprenticeship teaches the skills and presence necessary to hold space as a “medicine guide,” and finally, our in-depth Shamanic Apprenticeship program serves to initiate experienced practitioners called to carry medicine and hold ceremony. Apprenticeships are challenging and not for the faint of heart. They require dedication, inner strength and focus. 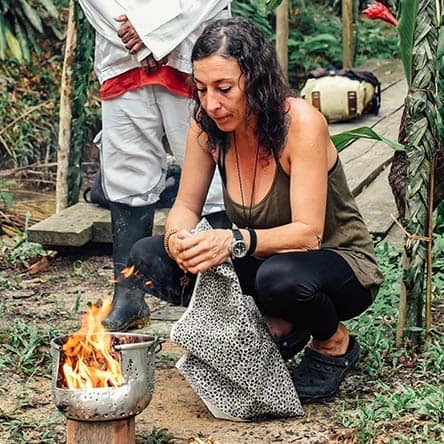 But for those who feel called and ready to learn how to administer the medicines of the rainforest and to guide others in their medicine journeys, apprenticing is a deeply worthwhile and life changing experience. 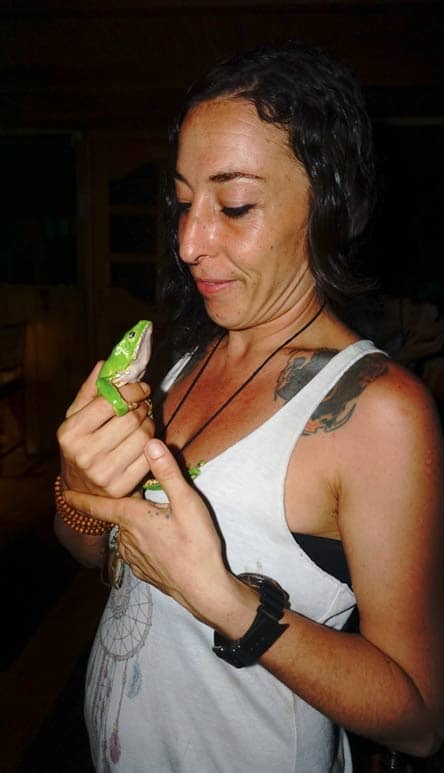 No matter the apprenticeship you choose, in addition to your gained skill set, you also finish with a deeper connection with the plants and animals of the rainforest, and yourself! Must have a humble intention to assist in the healing of others. Must be mature and able to communicate well. Must be able to communicate, understand and sympathize with a vast array of personalities and issues and traumas. Must be able to work long hours and be “on call” at all times during apprenticeship. Must be able to tolerate the extreme heat and/or rain of the Amazonian Rainforest. Must be physically fit and capable of walking a mile, to several miles, a day. Learn the history, spirit and medicine of the Giant monkey tree frog and the potent medicine it produces: Kambo. We offer two levels of Kambo Practitioner Training: Initiation and Full Immersion. A facilitator is a medicine guide who understands the psycho-spiritual process of working with medicinal plants and can guide a guest, or client, through the hero’s journey of medicine work. Broaden your spiritual and healing practice to include the mastering of plant medicines, and understanding the rites, rituals and ceremonies surrounding these plants.